We’ve been to Glastonbury for each of the last 4 years and in this fallow year we think Portsmouth has divulged a closely-guarded secret about its ability to rival pop’s greatest live event. We say this with some knowledge of a city we love. We were trained in journalism here in the 80s, worked here in the 90s and bought our 1st house here before fleeing yet returning to see the friends we have here and the extended family a ferry journey away in Gosport. For 1st time visitors to Victorious what will be astounding is how much of the seafront has been commandeered for multiple stages. It’s similar to the Great South Run in scale and there must be many thousands here. 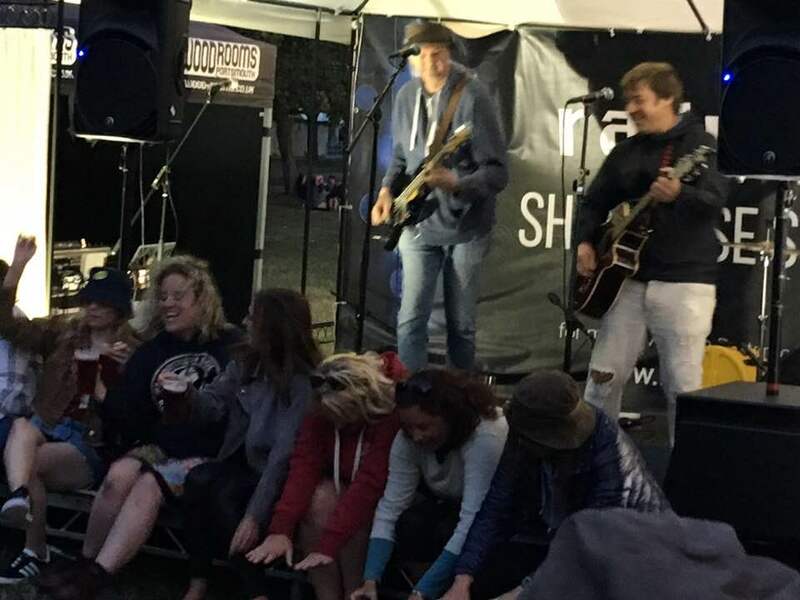 monstagigz’ brilliant columnist A Humdrum Mum captured it best last year and last night even but even we weren’t ready for what a diverse, wide-ranging and hit-packed event this is – and could be. We arrive off the 1st plane out of Barcelona and 90s heroes Sleeper greet us with a hits-packed set that even references Joy Division’s Love Will Tear Us Apart. We’ve enjoyed lead singer Louise Wener’s books since her band hit big but perhaps now’s the time to write a new album with songs of the calibre of Inbetweener, which has the mum and the toddler dancing together in front of us so excited that we fear for the equilibrium of our late afternoon beer. 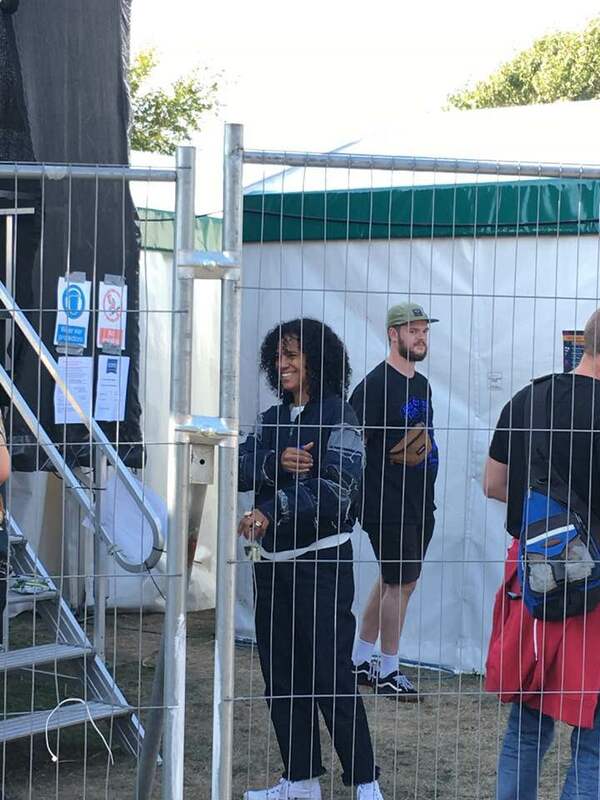 We’ve never seen Neneh Cherry live and before her DJ set on the World Music Stage presented by Arms Around The Child she tells us that she won’t be playing her own songs. It’s a shame because she has so many good 1s but the bass-heavy reggae she is playing is perfect for the early evening party that is guaranteed to go long into the night. We didn’t get Buffalo Stance but it did make us think about the Arms Around The Child charity she is promoting. Over on the Showcase stage Reactor 1 (pictured below) are causing a stir with the audience participation during their joyful cover of James’ Sit Down and we’d definitely like to hear more from them in the future. Bragg also boasts the best adlib: ‘I’m like Ed Sheeran if he read the f*cking papers.’ And he is. In a year without Glastonbury his is the set that perhaps speaks most to the crowd. The singalong to A New England (in Kirsty MacColl’s name) is perhaps the day’s most memorable moment. The day moves on and Brian Wilson is on earlier than we expected but Good Vibrations and Surfin’ USA are still 2 of the more memorable songs of today. We hear a little of headliner Paul Weller but on a day when strong women were at the heart of everything Victorious it seems only right that we conclude Saturday with Castle Stage headliner Paloma Faith. She plays ONBlackheath in a fortnight and while we brush away a tear during Make Your Own Kind Of Music as we’re dancing alongside the glitter-strewn who perhaps don’t fit in anywhere else, her Can’t Rely On You is the day’s biggest bop. We know a lot about Portsmouth, not least the reluctance of the people who live here to leave here. And why, quite frankly, when you live in such a beautiful location (ferries glide by as we watch these bands) would you? Perhaps this modesty is why Victorious hasn’t quite grabbed the attention it’s deserved thus far. We’ll be trying for Glastonbury tickets this October but, if we don’t get them (and perhaps even if we do), we’ve now found somewhere to rival it for an absolute joy of a festival-long weekend.